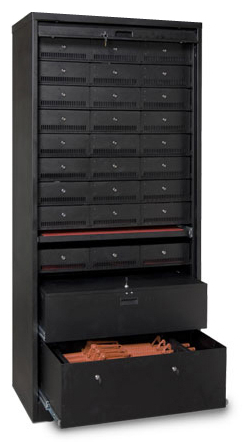 ﻿Weapon Storage Cabinets are available in 60", 64", 72" & 83” heights. Choose from Hand Gun Compartments, M4/C8 Rifle Drawers, Lockable Storage Drawers & Roll-out Work Shelves to design your own Weapons Cabinet. All components are secured inside the Weapons Cabinets prior to shipping but can be changed with little effort if your requirement changes in the future. 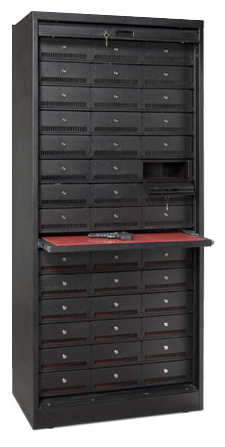 All cabinets are complete with a bi-parting steel tambour door with key lock.